In spite of the fact that 12% of the mobile traffic on SnapDeal is of iOS users, there was no any shopping app for them as such. However, the good news says that SnapDeal has launched its first mobile shopping app for iOS users. Now the users will be able to browse through the various product categories on their phones. 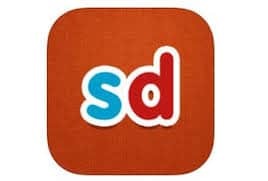 As far as Android and Windows are concerned, SnapDeal already had mobile shopping apps and now with the launch of mobile shopping app for Apple iOS, it will cover the major three operating systems for mobile phones. Ankit Khanna, Vice President, Product Management, SnapDeal, said, “The number of Apple device users in India is growing rapidly and with the launch of our new iOS app, we will aim at being closer and even more accessible to our customers. Our shopping application has a 5/5 rating in the Apple App Store and we will continue to build excellent features to deliver a best in class mobile shopping experience”.